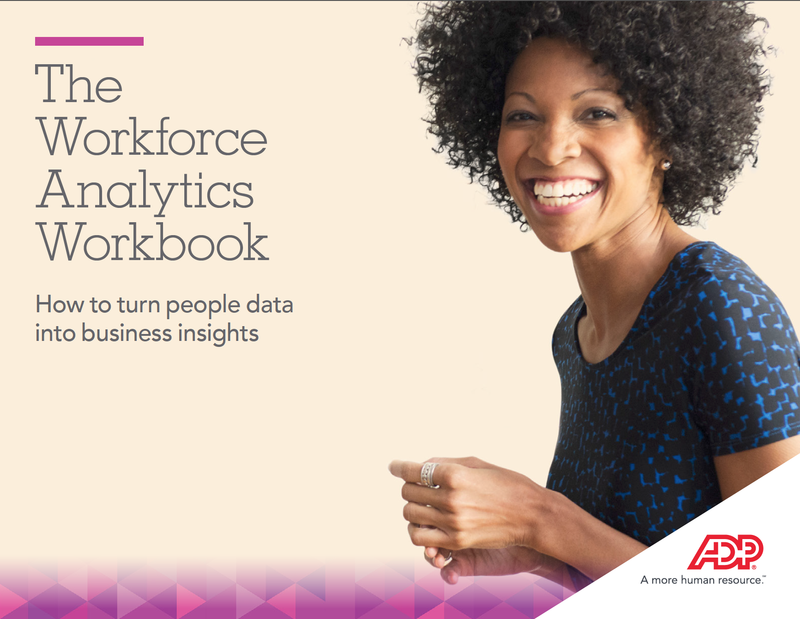 ADP can help organizations put their data to work for them, turning workforce insights into positive change for their people and the whole organization. 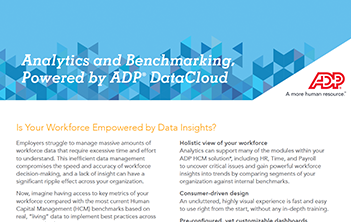 Benchmarking, powered by ADP® DataCloud, delivers decision quality data about the broader market. Put data to work and move your organization forward with ADP® DataCloud. 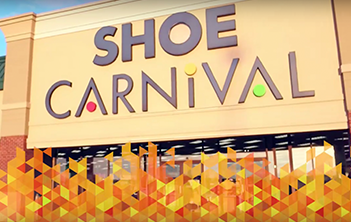 Shoe Carnival has gained greater workforce visibility and simplified their processes. Learn how automated and self-service applications help improve business efficiency. 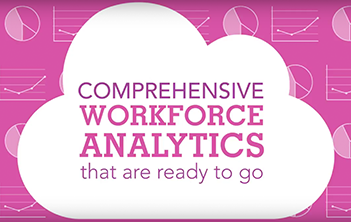 Analytics powered by ADP® DataCloud helps you spot workforce trends and make evidence-based decisions.